We are delighted to announce Campus Safety Magazine has awarded us with a Campus Safety BEST Award in the category of Incident Management & Response for Incident & Records Management Software – for ARC Emergency, one of our four mobile facilities dashboards. ARC Emergency helps facilities teams improve operations, emergency responsiveness, as well as safety and security. Read the ARC announcement. See a list of winners. 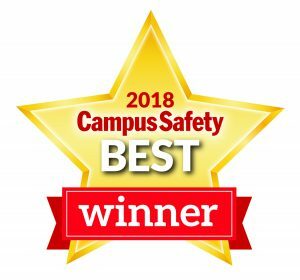 Campus Safety Magazine honors superior products and services for hospital, school and university protection professionals with its Campus Safety BEST Awards that recognize outstanding security, law enforcement, emergency management and safety solutions for K-12 institutions, universities and healthcare organizations. ARC Emergency won this award based on features that are vital for effective emergency preparation including the ability to instantly update and share facility information with first responders and co-workers, distribute safety and emergency response policies, and validate training. 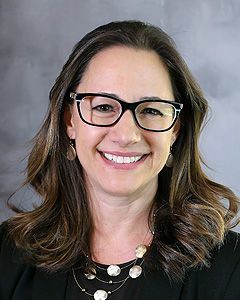 “We are honored to receive an award recognizing our technology solutions for excellence in providing instant access to information that helps facility and emergency teams minimize damage to buildings and keep occupants safe – on a daily basis and during emergency situations,” said Brian Bailard, ARC executive vice president. This year’s winning entries were chosen by independent voting by a panel of judges who are industry leaders, along with the editors of Campus Safety. The panel considered all aspects of the entries including innovation, functionality, and benefits to the installer. In January 2018 Facility Executive Magazine’s readers voted ARC as the Best Facility Software of 2018 in its annual People’s Choice Award. From floods and fires to active threat situations, the ARC Emergency mobile facilities dashboard empowers facility and emergency managers with information management for emergencies. Powered by the ARC Facilities Platform, ARC Emergency provides facility and emergency management teams with anytime, anywhere, access on any desktop or mobile device to emergency plans and crucial building information that can be shared with first responders to accelerate containment of emergency situations. Learn more about ARC Emergency.